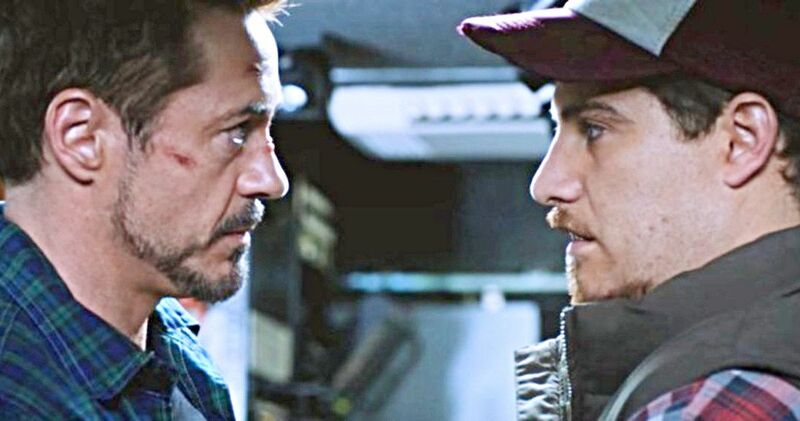 Iron Man 3 isn’t necessarily the best movie in the Marvel Cinematic Universe, but there are some bright spots, including Adam Pally’s Tony Stark-obsessed Gary character. The actor recently revealed that not only did he survive the snap of Thanos in Infinity War, but that he also wants to possibly jump into the Iron Man armor. The Mad Titan’s actions at the end of Avengers 3 has left many MCU fans distraught and confused about how some of their favorite characters will come back from the dustbin. MCU fans who were worried about Gary don’t have to worry anymore. Adam Pally says that he believes Gary is alive and well. However, he’s more than likely pretty worried about Tony Stark. Pally jokes that he’s been pitching Marvel Studios for a return of Gary in Avengers 4 with an expanded role. He explains. Adam Pally played the small, but hilarious role, of Gary the cameraman in Iron Man 3. He has styled his look off of Tony Stark, growing the same beard, wearing the same glasses, and even got a tattoo of the Avenger, that is modeled from a hand-made doll that he made. His role is small, but Pally plays an obsessed fan really well, so it would be fun to see him return in Avengers 4. Though if he does, he more than likely won’t be getting to step into the Iron Man suit. Since Infinity War is now available to purchase digitally, the commentary from the Russo Brothers and screenwriters Christopher Markus and Stephen McFeely has revealed some of the secrets behind the film. Markus revealed that Korg and Miek might not have made it out of the movie alive, and that fans should pray for them. However, they have not officially confirmed if Gary the cameraman survived the mighty snap of Thanos. We’ll just have to wait and see if Adam Pally gets to make another MCU cameo. This isn’t the first time that Adam Pally has tried to get back in the MCU. Back in May, he discussed contacting the Russo Brothers a few times a year to remind them that he’s still alive and willing to work. He’s still waiting to hear back, so if anybody has the contact info for Marvel Studios boss Kevin Feige, it might be time to go straight to the man in charge to get Gary back. While we wait for more official news on Gary’s survival, you can check out the original interview with Adam Pally over at Cinemablend.